A group of students from Georgia Tech, Georgia State University, and Emory University won a global hackathon last month for creating a device that would help farmers in developing countries. Team Revolutionary Agricultural Technologies (RAT) won the Pakathon Atlanta Competition on Sept. 28 and moved on to win the Pakathon Global Competition in Boston on Oct. 11. Aneeq Zia and Muneeb Zia, Tech graduate students in electrical and computer engineering, worked with their teammates, who included startup entrepreneurs, to design the Tensiometer, a device to monitor soil water status in the root zone of a crop. The Tensiometer can help low-income, low-technology farmers know when and how much to irrigate certain crops, which in return should provide better crop yield and water-use efficiency. “With future populations increasing and fresh water supplies decreasing, this device is in development to help solve the issue of over-watering crops, thus saving more water for human consumption and food growth,” said Zia. Muhammad Asif Rana, head of the Pakathon Atlanta Chapter, believes Team RAT’s dedication to making a physical device, rather than an app, was what made them stand out among the competition. Pakathon Atlanta is one of several chapters that participate in Pakathon, a two-round global hackathon that takes place synchronously in 16 cities in the U.S., Pakistan, and Canada. The first round determines city winners, who then move onto the global finale. The goal of Pakathon is to provide developing countries, specifically Pakistan, with sustainable projects and companies and to connect entrepreneurs from around the world to Pakistan. 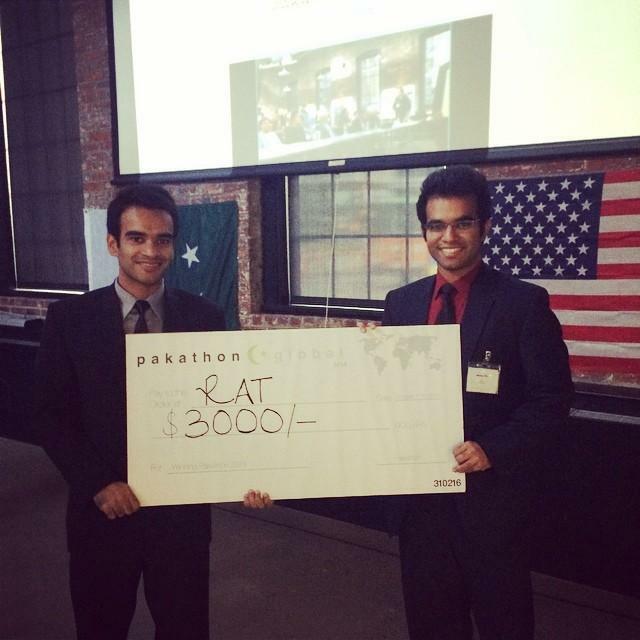 From Pakistan, Pakathon hopes to eventually move on to developing countries all over the world.